Simon and Beth have been in a happy relationship for five years. Simon discovers a journal that contains a dark secret and details of a harrowing event, which has caused someone both emotional and physical distress. A catastrophic encounter, light turns to dark and destruction follows. He tries to piece together the facts to fathom out who had fallen victim to such a heinous crime. How does this person embark on a voyage to bring them back to a life of light? 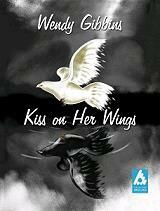 Read the emotional journey of a traumatic past, to a haunted present. How do we recover from desecration? One meeting and one experience can change a persons life forever.